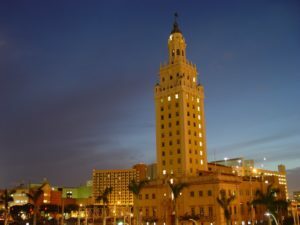 More than 30,000 additional temporary H-2B visas are being made available through the remainder of the year, providing more seasonal employment opportunities in South Florida. The move to increase the number of foreign workers is expected to help address the labor shortage that has squeezed businesses for the past two summers. The Department of Homeland Security had allowed an additional 15,000 H-2B visas in each of the last two years, the Miami Herald reported. That's in addition to the 66,000 H-2B visas issued annually under the statutory cap. The newly allotted visas will be available through the remainder of 2019 and will be granted to applicants who have held H-2B visas in at least one of the past three fiscal years. Our business immigration lawyers in Miami know these employees work in a wide range of industries and small businesses vital to South Florida's tourist economy, including hospitality, food service, horse training and landscaping. H-2B visas are just one way for small businesses and foreign employees and business owners to ensure business success and immigration compliance. A total of 96,000 H-2B visas will be available in 2019. The Trump Administration has proposed making even more visas available as employers continue to struggle to fill vacancies, particularly in seasonal and tourist areas like South Florida and along the Maine Coast. While anti-immigration advocates frame the issue as taking jobs from American workers, advocates continue to push for additional visas, contending they help protect small businesses and working families from overzealous immigration enforcement while building financial security among a hardworking segment of the blue-collar workforce. The H-2B visa program began in 1987, when 62 visas were issued. By 2000, more than 45,000 were being issued annually. In 2019, nearly 100,000 will be granted to seasonal foreign employees. U.S. Citizenship and Immigration Services requires a business owner file an I-129, Petition for Nonimmigrant Worker, on behalf of a prospective employee. Working with an experienced Miami business immigration attorney can put your business in regulatory compliance, and afford legal protections to your workforce. U.S. visa laws are complex but provide a number of ways in which foreign workers and business owners can protect themselves from the immigration enforcement efforts always in the news. An employee must have a job offer from a U.S. employer for temporary employment. Employee must meet minimum qualifications for whatever job is offered. An employer must file an H-2B application with the U.S. Immigration Bureau. Employee must intend to return home when the job ends and visa expires. To satisfy the temporary employment requirement, an employer must show staffing demands involve reoccurring seasonal need, intermittent need, peak-load need or are a one-time occurrence. The struggle to find temporary seasonal help has become a critical issue amid Miami's bustling economy. Hiring seasonal foreign workers using H-2B visas can be a great way to ensure both staffing and legal compliance. Call our Miami immigration attorneys at 305-482-1113 for a confidential consultation.